St Austell Bed and Breakfasts. Compare latest rates and Live availability for all your favourite places and places you have always wanted to go using our new My Shortlist feature. Click + to add to your Shortlist. 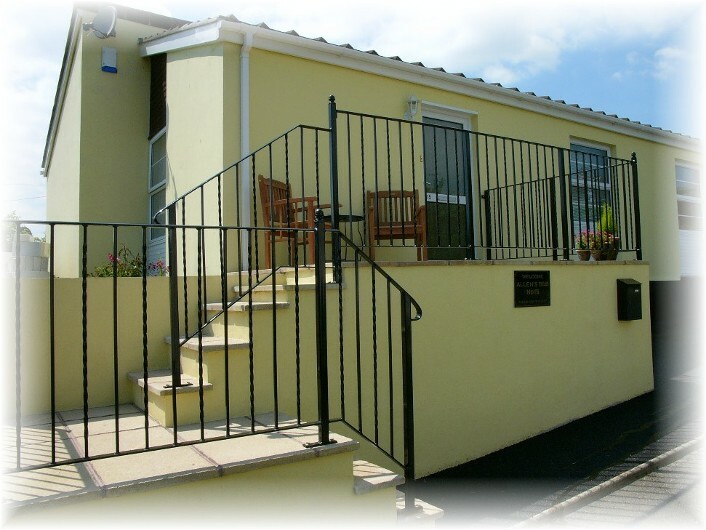 Bed and Breakfasts in St Austell, Cornwall for 1 night from Fri Apr 19, 2019 to Sat Apr 20, 2019 within 10 miles, in an Average Nightly price range of £1 to £200. Perched on the rugged cliffs of St Austell Bay, The Carlyon Bay Hotel features a luxury spa, award-winning restaurant and a golf course. The hotel has panoramic views and 4-star bedrooms. With stylish dÃ©cor and a flat-screen TV, the spacious rooms at Carlyon Bay each have tea/coffee facilities and private modern bathrooms. Some have wonderful views across the English Channel. The spa features an indoor swimming pool, spa bath, steam room and heated loungers. There is also an 18-hole championship golf course, tennis courts, an outdoor pool and beauty treatment rooms. The Bay View restaurant serves fresh seafood and fine vintage wines in formal surroundings. Dress code is smart / smart casual, with no ripped denim or sportswear. For an informal dining option, Taste Brasserie offers fine locally sourced produce, and the Spa Bar serves light meals on the elegant terrace. Just metres from Cornwall's sandy beaches, The Carlyon Hotel is 2 miles from the Eden Project. The Lost Gardens of Heligan can be reached in 10 minutes' drive and St Austell centre is 2 miles away. Tremarne Hotel is a stylish, award-winning property in a spectacular location just minutes from the Cornwall coast. The hotel has its own swimming pool, free on site parking and offers free WiFi. Rooms at Tremarne Hotel are individually style, and each enjoys either a country or sea view. All rooms are en suite and have a flat-screen TV. Certain rooms have a private balcony, whilst the property itself has a spacious terrace and garden. Breakfast is included in the room rate. The award-winning on site restaurant is open for evening meals, with a menu based around traditional, contemporary and vegetarian dishes using the best of Cornish produce. The quaint fishing village of Mevagissey is a 5-minute walk away, and the South West Coastal Path passes close by the hotel. The Lost Gardens of Heligan are 2.7 miles from The Tremarne, whilst the Eden Project is a 25-minute drive away. Situated in the centre of St. Austell, White Hart Hotel features a traditional restaurant and lively bar. The Rail Station is 5 minutes' walk away and there is free private parking. The spacious rooms at The White Hart St Austell have en suite bathrooms, and free Wi-Fi is accessible throughout. Rooms also offer tea and coffee facilities, a large work desk and a TV. The Walter Hicks Restaurant serves a seasonal menu, using local ingredients and freshly caught fish. A full English breakfast is served in the large dining room, and there is also a bar, offering a selection of award-winning local ales. The White Hart is set in a grand Georgian building, just 10 minutes' walk from St Austell Brewery. The Lost Gardens of Heligan are a 15-minute drive away, and St Austell Railway Station is just half a mile away.